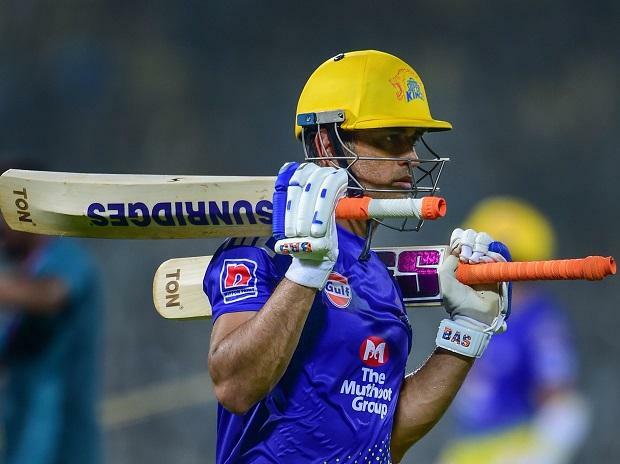 IPL 2019 MI vs CSK preview: Can Mumbai stop Chennai's winning streak? In match 25 of the VIVO Indian Premier League 2019 (IPL 2019), Ajinkya Rahane-led Rajasthan Royals will host MS Dhoni's Chennai Super Kings at the Sawai Mansingh Stadium in Jaipur on Thursday. Rajasthan Royals have struggled in the tournament with just two wins off five matches.They have failed to make the most of home ground advantage as they lost against KKR in their last match. Chennai is at the top of IPL 2019 points table with five wins in 6 matches and they would look to continue with the winning spree. Problems are aplenty for Rajasthan as the side has not been able to convert a good show into victory and with the opposition like CSK, they will have to sweat hard to break the losing spell. Dwayne Bravo might make a comeback after he was injured and rested for two matches. Overall, the side also demolished an equally strong Kolkata Knight Riders and it must be planning to grab early wickets to derail RR's strong batting line-up. RR is a balanced side with captain Ajinkya Rahane, Jos Buttler and Steven Smith taking charge of the batting department and Dhawal Kulkarni, Shreyas Gopal and Shreyas Gowtham regular names in bowling line-up. Ben Stokes and Jofra Archer play a dual role, they can bat and bowl well and deliver whenever the team needs. Despite this, the team is not winning matches and trouble is mounting for them as the tournament approaches the halfway mark. The margin of error for Rajasthan is very low as they cannot afford to let matches slip from their grasp anymore else their ouster will be imminent. The team would look to score more in powerplay and put a decent total so that bowlers will have the opportunity to trap Chennai batsmen. Dwayne Bravo's injury was a major concern for Chennai but the inclusion of Faf du Plessis and the return of Harbhajan Singh has only added to their joy. Faf has scored 54 (vs KXIP) and 43 (vs KKR) and considering the team is playing at home, he is likely to go with a no holds barred approach. Shane Watson and Suresh Raina do not have many runs against their name but they score just enough to keep the scoreboard running even fi they face trouble with bowling. Ambati Rayudu is the key batsmen for CSK as he has the ability to shift gears without taking much time on the crease. Deepak Chahar is picking wickets and he has the company of Harbhajan Singh who is equally fierce and strikes early. Imran Tahir keeps the batsmen on a leash while Ravindra Jadeja does not concede much runs. Chennai may try another name in place of Scott Kuggeleijn as RR may not be a tough challenge, especially after they restricted a strong team like KKR for just 108 runs in 20 overs and chased the target easily. CSK playing 11: Faf du Plessis, Shane Watson, Suresh Raina, MS Dhoni, Ambati Rayudu, Kedar Jadhav, Ravindra Jadeja, Scott Kuggeleijn, Harbhajan Singh, Imran Tahir, Deepak Chahar. RR vs CSK match live streaming will be available live on Star Sports 1 HD, Star Sports 1 in English Commentary and Star Sports 1 Hindi, Star Sports 1 Hindi HD in Hindi Commentary. One can also live stream the RR vs CSK 2019 IPL match on Hotstar app and Tatasky app. The fans can also watch in-depth analysis of live match on Star Sports Select 1, Star Sports Select 1 HD. RR squad: Steve Smith, Ben Stokes, Jofra Archer, Jos Buttler, Ashton Turner, Ish Sodhi, Oshane Thomas, Liam Livingstone, Ajinkya Rahane, Sanju Samson, Shubham Ranjane, Stuart Binny, Shreyas Gopal, Sudhesan Midhun, Jaydev Unadkat, Prashant Chopra, Mahipal Lomror, Aryaman Birla, Riyan Parag, Dhawal Kulkarni, Krishnappa Gowtham, Varun Aaron, Shashank Singh, Manan Vohra, Rahul Tripathi. CSK squad: MS Dhoni (captain & WK), Suresh Raina, Ambati Rayudu, Shane Watson, Faf du Plessis, Murali Vijay, Kedar Jadhav, Sam Billings, Ravindra Jadeja, Dhruv Shorey, Chaitanya Bishnoi, Rituraj Gaikwad, Dwayne Bravo, Karn Sharma, Imran Tahir, Harbhajan Singh, Mitchell Santner, Shardul Thakur, Mohit Sharma, K M Asif, Deepak Chahar, N Jagadeesan (wk), Scott Kuggeleign.